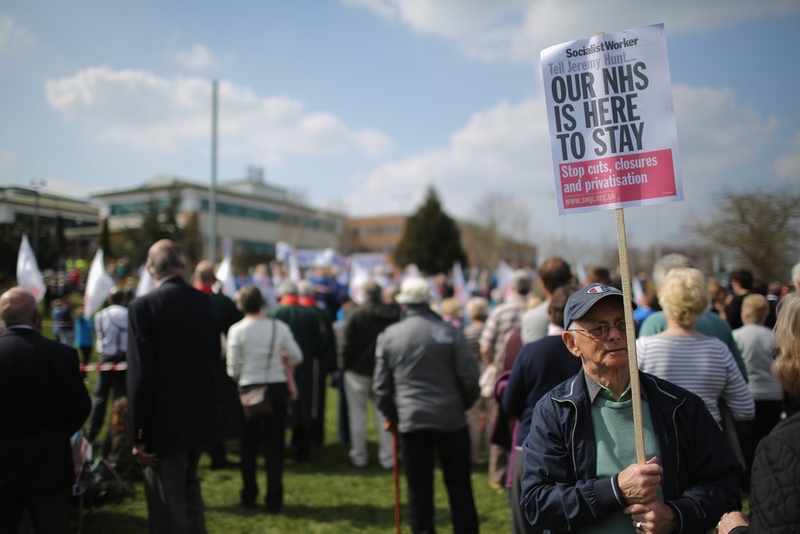 A man holds a sign as NHS staff and campaigners rally outside Stafford Hospital as they demonstrate to keep major health services at the scandal hit Stafford Hospital on April 20, 2013 in Stafford, England. The march was organised by the Support Stafford Hospital campaign group who are fighting cuts to major health services at the hospital. The Health regulator monitor has appointed two special administrators to produce a plan for the reorganisation of future services. - high-definition photo for free download.